Trimcraft-Dinosaurus Stencil Kit. 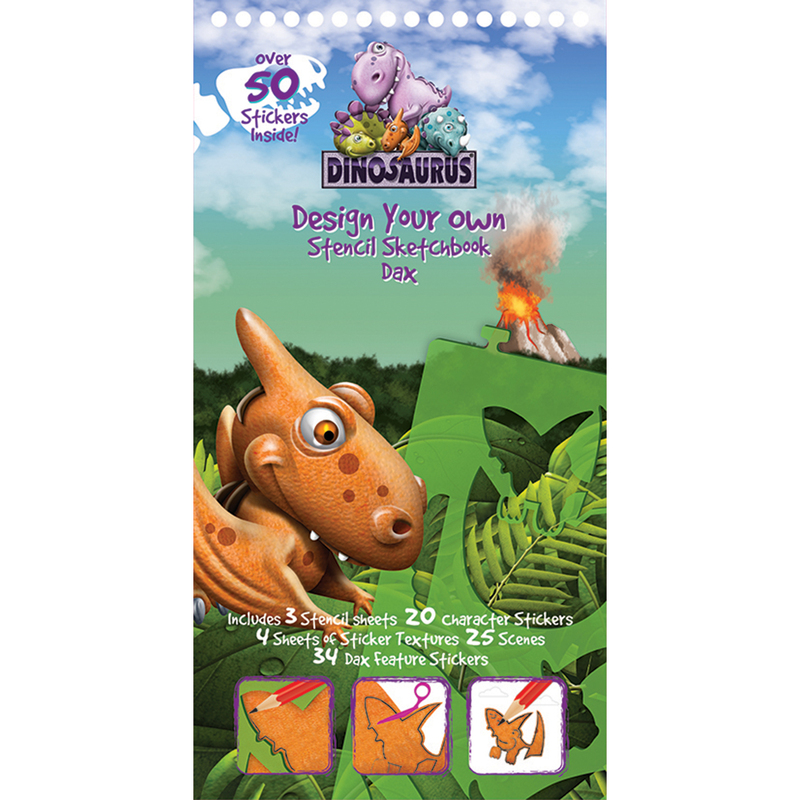 Great fun for designing and decorating your own Dinosaurus scenes! This package contains three 11x5-3/4 inch stencil sheets, four 11x5-3/4 inch sheets of assorted sticker textures, twenty-five scenes, twenty character stickers and feature stickers. Comes in variety of designs. Each sold separately. Imported.